Tis the season for pilled sweaters! 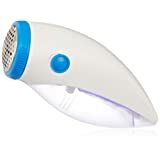 This handy fabric shaver from Remington will keep your sweaters in perfect condition all winter. 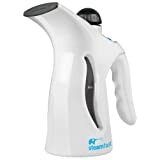 If you're like me and hate to iron, this fabric steamer is a "must have". You'll be surprised at how it compares to the more expensive models and how fast and easy it attack wrinkles. Are your handbags getting squished piled on top of each other? 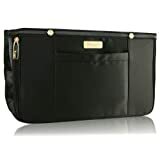 I love this system for storing handbags (it's called a handbag file) because it conveniently keeps bags dust free and in tip-top shape. 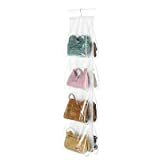 The PurseN handbag organizer makes it simple to switch bags! This item is truly time saving since it can take forever to change over the contents of one bag to another. 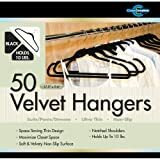 My favorite hangers in the world are the slimline velvet covered ones. Not only will they take up less space in your closet (freeing up room for more clothes!) but they'll keep your clothes in good shape as well...no more stretched out shoulders! One tip, buy all of your hangers in the same color to keep your closet looking sharp!